Intel’s NUC computers are mostly known for their compact sizes and decent performance but soon they might as well become a formidable competitor to regular desktop computers thanks to new plans by Intel, which will soon release its “most powerful” NUC computer ever. The new computer is expected in Q1 2016 but we do know its name now – the device is called Skull Canyon. There’s little information on it as of now but what we know is impressive – Skull Canyon will run a 14 nm 6th generation Intel Core processor, also known as Skylake. The exact chip is unknown as of now but it will come with integrated Iris Pro 580 graphics so there will be some serious 3D power to enjoy. In case you do not know Iris Pro 580 packs 72 EUs (execution units) and 128 MB of eDRAM L4 cache. Unfortunately the rest of the specs of the upcoming NUC computer are unknown but we expect Skull Canyon to have support for Bluetooth 4.1, 802.11ac Wi-Fi, an audio chip, Gigabit Ethernet and USB 3.1 ports. 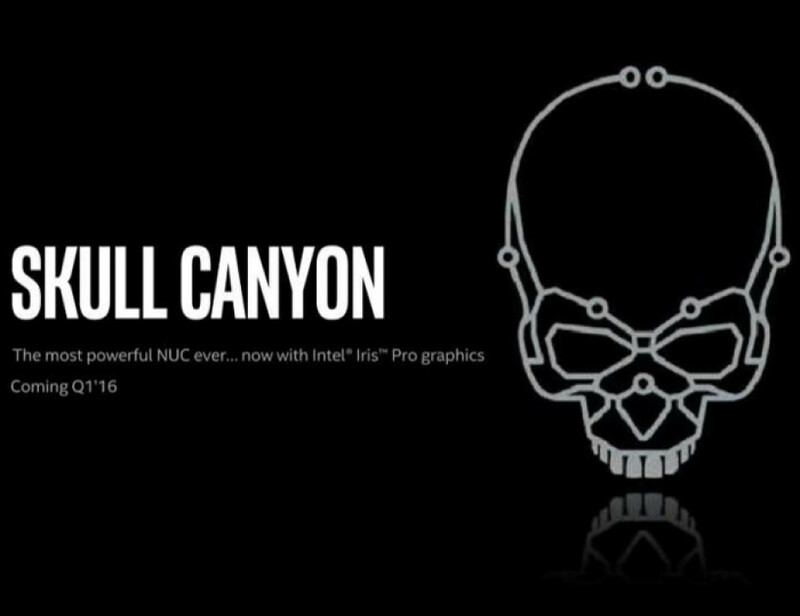 This remains to be seen but the design and production of Skull Canyon have entered their final stages – the new NUC computer by Intel will be demonstrated during CES 2016, which will take place in early January in Las Vegas, Nevada, USA.